This 3.25-mile multi-purpose trail takes you to one of the most beautiful waterfalls in the Angeles National Forest. This route has been one of the most popular hikes in the LA area for over a century, and is surely just as impressive and enjoyable for mountain bikers as well. You will pass the Roberts Camp, which is a group of old cabins in the forest that are still used to this day. The ride itself is easy, but there are some areas where you may have to walk your bike near the Roberts camp. The forest is generally pretty well-shaded, providing a nice cool trail to ride on during the summer months, and the waterfall at the end of the ride is a great place to cool off in. 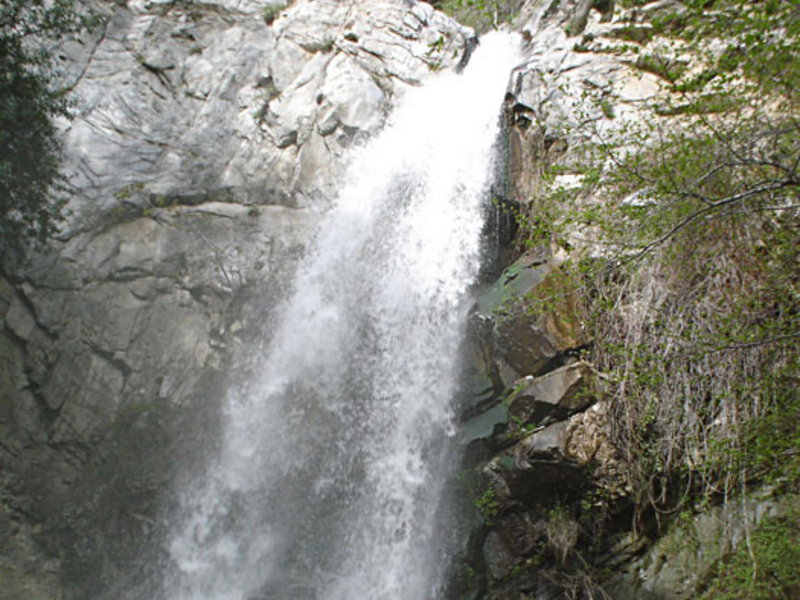 Enjoy this classic route to the beautiful Sturtevant Falls. The old buildings and waterfall make this a feature-heavy ride. It's less about the actual riding and more about what you'll see along the way, though that doesn't make the trail any less fun. It's not highly technical but still a fun trail to challenge. From 210 East, take the Santa Anita Avenue exit in Arcadia and follow the road to its terminus at Chantry Flats.